It is now clearly established in the case law of the Court of Human Rights that Article 8 protects the “right to reputation” as an aspect of private life. This is a relatively new idea, first appearing the case law as recently as 2004 (see Chauvy v France ). The development was a controversial one because “reputation” was deliberately left out of Article 8 when the Convention was drafted (see our posts by Heather Rogers QC “Is there a right to reputation?“, Part 1 and Part 2). Nevertheless, the case law in both Strasbourg and the domestic courts is clear and consistent and is not likely to be reversed. The recognition of reputation as a Convention right means that, when it considers defamation cases, the Court needs to balance freedom of expression and reputation from a starting point that neither takes precedence. This is a similar exercise to that carried out in privacy cases and there is a clear risk of the boundary between privacy and defamation becoming blurred (see generally, “Strasbourg on Privacy and Reputation”, Parts 1, 2 and 3). English judges have been alive to these issues for a number of years (see, for example, Sir David Eady’s March 2010 Lecture at the City University). However, whilst recognising the need for “balancing” in both the privacy and defamation contexts, they have so far, managed to maintain the boundaries between privacy and defamation. The issues which arise have largely been discussed in the context of the doctrine of “false privacy” (see in particular, Terry v Persons Unknown  EWHC 119 (QB)  and generally our post “Defamation and False Privacy“). For most of the past decade the Court of Human Rights has taken the Article 8 “right to reputation” into account in many (although not all) defamation cases whilst maintaining a clear separation between defamation and privacy. 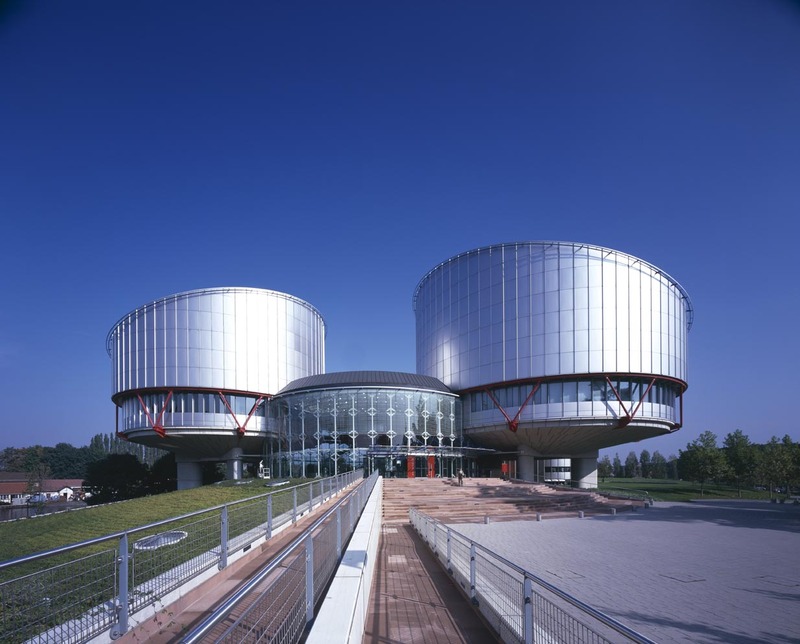 Thus in defamation cases going back to White v Sweden ( ECHR 793) the Court balanced privacy and expression by considering the nature and extent of the obligation to verify factual statements. In defamation cases the touchstone remained that of “truth” and the steps which ethical journalists are required to take to ascertain whether a defamatory statement is true. Over the past few months, however, the position has apparently begun to change. In three recent defamation cases the Court has analysed the issues not on the basis of truth and verification but using criteria designed to strike a balance between Articles 8 and 10 in privacy cases. These criteria are useful in cases where there is an allegation that a person’s right to privacy has been infringed by media publication. They focus on the strength of the “privacy rights” of the individual (criteria (ii), (iii) and (v)), balancing this against “public interest” in publication (criterion (i)). They are not well-suited to balancing reputation and freedom of expression where the claim is for defamation. Where issues relate to truth as questions as to how the information was obtained and how well known the claimant have no obvious relevance. The problems which arise when “privacy criteria” are applied in defamation cases are apparent from a consideration of the Court’s reasoning in three recent cases. The first defamation case in which the “Axel Springer criteria” were expressly applied was by the First Section in Print Zeitungsverlag GmbH v. Austria (Judgment of 10 October 2013). I have considered this case in an earlier post and I will not repeat the analysis here. The use of criteria in that case appears to have led the court away from its own established Article 10 jurisprudence concerning the republication of third party allegations (helpfully summarised in Roberts v United Kingdom, Decision of 5 July 2011, ). It was held that a domestic defamation judgment against the publisher was not a violation of Article 10 despite the fact that the “ethics of journalism” appear to have been complied with in a balanced report of allegations by a third party. The case is a clear illustration of the dangers of applying a “privacy” analysis in the defamation context. The second such case – a decision of the Fourth Section – was Ristamäki and Korvola v. Finland (Judgment of 29 October 2013). This concerned a television programme about investigations into economic crimes. During the broadcast it was mentioned that in the course of their investigations the police wanted to know whether a sports centre had been funded by K.U., a well-known Finnish businessman. The applicants were convicted of defamation of K.U. The subject matter of the programme was a matter of public interest, “From the point of view of the general public’s right to receive information about matters of public interest, and thus from the standpoint of the media, there were justified grounds for reporting the matter to the public“.(). K.U. was, at the time of the broadcast, already in the limelight – indeed he was standing trial for economic crimes on the day of the broadcast (). The facts in the programme were presented in an objective manner and the style was not provocative or exaggerated (). The second, third and fourth points appear to be irrelevant to the issues which normally arise in a defamation case. The question of how well known a person is, or how the information has been obtained, has no relevance to the question of whether a publication is defamatory. The style of presentation is, in general, irrelevant in a defamation case – journalistic freedom, the court has repeatedly emphasised, “also covers possible recourse to a degree of exaggeration, or even provocation“. In short, almost all the matters taken into account by the Court were irrelevant. The fundamental point was that the allegations were true. In other words, despite being misled by the Axel Springer methodology this is a case in which the Court nevertheless reached the right conclusion. Finally, there was the decision of the Second Section in Ungváry and Irodalom Kft v. Hungary ( ECHR 1229). This case was also considered in an earlier post. It concerned a historian who had alleged that Mr K – an academic and party official who subsequently became a constitutional court judge – had been an “official contact” of the security services in the communist era. The article contributed to a debate of general interest . Once again, it is difficult to see how these questions are properly relevant. The real issue in the case was whether the statement that Mr K was an “official contact” of State Security was a statement of fact or a value judgment. The Court, perhaps surprisingly, decided it was the latter. But the “privacy issues” which it dealt with provided no assistance on this question. In each of these cases, the Court’s attempt to balance Articles 8 and 10 by using “privacy criteria” was, at best, irrelevant to the issues which it had to decide. There is a clear and obvious risk that the application of such criteria outside the area for which they were developed will lead the Court into error. This appears to have happened in the Print Zeitungsverlag case. In the other cases, the Court reached the right result despite the flawed reasoning process which it employed. Notwithstanding the recognition of “reputation” as an Article 8 right, the case law has, until recently, maintained a clear distinction between defamation and privacy. This is on the basis that different aspects of Article 8 are engaged in the two kinds of case. The right to reputation concerns the protection of a public reputation against unjustified damage. If reputation is damaged by a publication then the issue has traditionally been understood to be whether that damage can be justified: either because the reputation was undeserved (because the allegation was true) or because the damage was justified (because, for example, it was a responsible statement on a matter of public interest). On this view, questions as to how the information was obtained or the extent to which the claimant had put similar information into the public domain in the past are simply irrelevant. It is, of course, possible to redraw the boundaries between defamation and privacy in a radical way. But if this is going to be done, then the implications need to be carefully thought through and a set of “balancing criteria” developed which can be properly applied in both types of case. The Court of Human Rights has made no attempt to do this. The application of the Axel Springer criteria to defamation cases without further analysis and development is an error which the Grand Chamber should correct as soon as possible. Yet more sloppy analysis from the Court. Similar does not mean the same. First off, I don’t think that ‘how well known the person is’ is a useful criterion even in privacy cases: it appears to endorse the view that simply being well known to the public automatically reduces your expectation of privacy. This is a crude and unhelpful view because it assumes that the simple fact that someone is famous creates a legitimate public interest in their doings. In that sense, Axel Springer was a retrograde step even as a privacy case. But it’s even worse if being ‘a public figure’ is now something relevant in defamation cases as well: it could suggest that the Court is sleepwalking towards something like the US Sullivan doctrine, whereby public figures per se have a dramatically reduced right to reputation (in practice virtually no enforceable reputation rights). This would be wholly out of line with both the Court’s previous case-law on reputation and of course with English libel law.